As seen on A Current Affair! 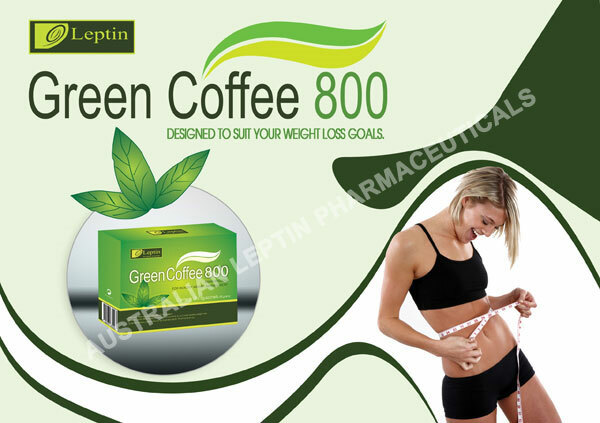 Leptin Green Coffee 800 Australia provides a variety of Leptin Slimming health beverages and a range of high quality Slimming Coffees including the new Green Coffee extract 8000. Our extensive range of products includes Nutritional, Skin Care & Health Products, including the popular Leptin Green Coffee 800, Leptin Green Coffee Pure Black, Cocoa Hot Chocolate, Leptin Dried Plum, Elite Tea, Green Coffee extract 8000 and Acai Berry Coffee 8000 which all contain natural antioxidants and herbal ingredients to assist in natural weight loss. We also stock the new Green Coffee extract 8000. Leptin Green Coffee 800 is a revolutionary drink which is Nature's gift of weight management for men and women and has FAST become the hottest weight-loss assistance product in Australia today! Leptin Green Coffee 800 and Green Coffee 8000 are 100% 'drug free' instant style slimming coffees packed full of antioxidants and blended together with herbal extracts. 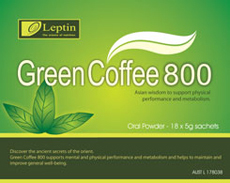 When used in conjunction with a healthy diet plan and exercise regime, Leptin Green Coffee 800 & Green Coffee 8000 can help consumers to safely suppress their appetite and boost their energy levels, making them feel more energised and help their metabolism function better by stimulating the body to burn calories and stored fat. This improves their overall health and well-being, allowing them to make a real and positive difference in their lives, by helping to lose those extra kilos, maintain a healthy slimming body, and feel great! 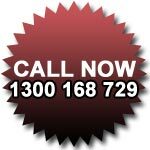 For all of your orders please contact us during business hours on 1300 168 729.